In addition to plastic surgery, Dr. Elsa Raskin has special training in ophthalmology and oculoplastics, making her uniquely qualified to perform oculoplastic surgery at her Greenwich, CT, practice. This procedure utilizes plastic surgery techniques to repair eyelids, tear ducts, and bones around the eyes. Ptosis, also referred to as a saggy eyelid, and excess tearing are common disorders that Dr. Raskin can treat with this procedure in order to improve vision and reduce eye irritation. In addition to the restorative benefits, this procedure offers, oculoplastic surgery can improve the aesthetics of your appearance by addressing drooping eyelids that can make you appear older than you are. Dr. Raskin’s training and experience in ophthalmology and cosmetic plastic surgery make her a safe choice for these complicated treatments. She trained in general surgery at New York University and ophthalmology at New York Eye and Ear Infirmary. She completed two plastic surgery fellowships, as well as an oculoplastic fellowship at the University of Pennsylvania. 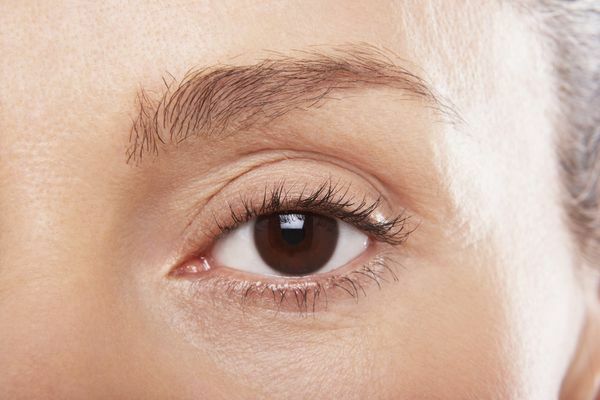 Blepharoplasty: During this cosmetic procedure, Dr. Raskin can remove excess skin and tissue from the upper and lower eyelids to eliminate fine lines and wrinkles, droopy eyelids, and swollen bags. Ptosis Repair: If you have a weak levator (eyelid) muscle that has prevented your eye from completely opening and has impaired your vision, Dr. Raskin can raise the eyelid and tighten the upper eyelid muscle. If there are excess skin and fat in addition to a weakened muscle, a blepharoplasty can be performed in combination with this procedure. Oculoplastics involves surgery to the tear ducts, eyelids, and tissues and bones surrounding the eye. Tear Duct Surgery: If you have excess tearing, it is usually due to a blocked tear duct. In such cases, Dr. Raskin can perform a dacryocystorhinostomy to create a new passageway through the nose with a temporary or permanent drain in order to restore the flow of tears. Orbital Surgery: This procedure can address a variety of eye disorders, including tumors or trauma to the eye socket and malposition of the eyelid. The length of your procedure and your recovery will depend on the type of procedure performed and how you respond to surgery. Dr. Raskin will provide you with detailed postoperative instructions and monitor your results through follow-up appointments to optimize your recovery. If you are experiencing oculoplastic problems, Dr. Raskin is skilled and trained to provide the care you need. Call our office at 203-861-6620 or contact us online to schedule your consultation with Dr. Raskin.